Ahead of her speaking slot at the Indoor Agtech Summit in New York next week, we caught up with Eri Hayashi, director of International Relations & Consulting of the Japan Plant Factory Association (JPFA), a non-profit organization devoted to academic and business advancements in Japan’s indoor ag industry. Hayashi told us about the differences between the industry in the US and Japan, particularly around secrecy and collaboration. What is the Japan Plant Factory Association? We launched in 2011 with support from the Japanese government and are located in the campus of Chiba University, which is famous for agriculture studies and located in Kashiwanoha, an agri smart city. We have 130 local and international company members and 100 individual members, and our mission is to develop and introduce sustainable technologies to the world to solve three major global issues: food, energy, and resources. We want to do so in collaboration with research institutes and companies and currently have more than 20 research and development projects ongoing with different groups. There are around 10 greenhouses and vertical farms onsite that we manage. We focus on fostering collaboration between academia and industry. We also provide workshops and training, technical business support as well as hosting an international conference. We have been providing these workshops and training courses every month for almost 10 years. We have different topics every month with roughly 100 people joining each session to share information and network with one another. This coming October, we will have an intensive course on vertical farms in English for beginners, covering what you would need to know before or after starting indoor farming business/research. Weekly sessions will include academic and practical classes, such as lighting, plant physiology, nutrient solutions, seedlings, and business case studies of commercial large-scale farms. There are different categories and levels of involvement that incur different fees per year. Some members, for instance, will use our onsite greenhouses — which were originally partially funded by the government — and put their own system inside it depends on the research topic. We also have a vertical farm that members can use. But other members utilize JPFA for networking and information sharing, and we also have an onsite tour of more than 5,000 people a year of which 40% are international. What are some of the technologies being used and tested on-site? There are multiple technologies being developed and tested on-site, but a particularly notable collaborative R&D project started last year about using artificial intelligence, phenotyping-based environmental controls and breeding for plant factories. Apart from developing a smart module system, we are developing phenotyping units for plant factories. How would you describe Japan’s indoor ag sector? From a historical standpoint, the first “boom” for indoor agriculture was in the 1980s, the second in the 1990s and we’ve been in the third boom since 2009 with around 200 plant factories across Japan. I think we are shifting into the fourth boom now, which will be the scalability boom and the introduction of new technologies from artificial intelligence to phenotyping to automation. The industry has been largely in research mode since 1970 and now the technology is getting ready for application. Which are the biggest indoor farms in Japan? 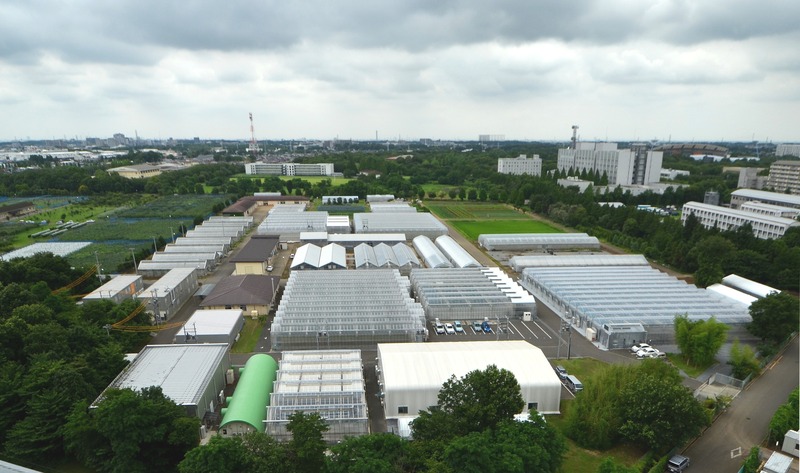 Spread or 808 Factory, for example, are some of the biggest with a couple more of a similar size at the construction stage, but the number of large-scale farms is growing and that’s characteristic of the fourth generation of indoor ag in Japan. In the US, you see a lot of indoor farms building their own technologies in-house, instead of collaborating with one another to deploy third-party technologies. Is this the same in Japan? I get to see a lot of indoor farms not only in Japan but in the US and other countries where I think each farm is doing great but they are rather secretive and protective of their intellectual property. Even if I have a good discussion with them about their farms, they will ask me not to tell anyone! Is it not so secretive in Japan? It’s been changing; each farm is now realizing that we will need to work together at some point while of course each running a business. At JPFA we have several committee meetings, one of which is really interesting as all the major large-scale farms get together in the same room to discuss profitability and defining the terms and terminologies we use in the industry such as efficiency in electricity, labor, cultivation area, and investment. They also discuss how to improve the profitability of farms so they are actually open to sharing their experiences and it’s actually neat; I love this meeting. The point of these meetings, and JPFA in general, is also to share data and facilitate research in the industry. Each R&D project has a different perspective on how to do research and this sharing can help to minimize the risk of starting a business. Standardization is also crucial to advance the industry. We also have been organizing LED committee meetings for some years together with leading researchers and LED companies, working on standardization and transparency of this technology. As we see the fourth boom increase the use of new software, AI, machine learning and other dynamic technologies and breeding techniques, there will be more overlap between the businesses. How else do the US and Japan compare? In general what’s different between Japan and US is the dynamics of the investment environment. Plenty was a huge investment which could lead them to have more chance to develop and hire more people, as well as develop innovation in-house. Also, Japan is more detailed-oriented while the US is rather more marketing-oriented, and full of entrepreneurial spirit. What are the main challenges for Japan’s indoor ag sector? Hiring talent, relatively high electricity costs, and diversity. We also need the industry to start taking more of a social design approach to the sector – not just agriculture and science – but more like an architectural approach to integrate with society and create something new.